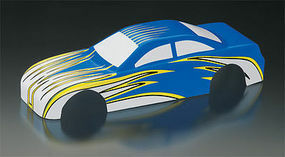 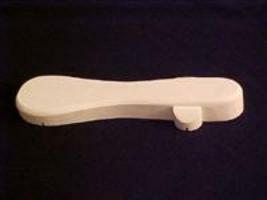 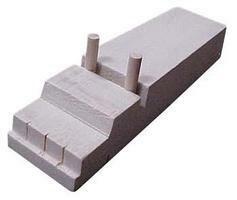 Shop online for 8 pinewood derby kits / supplies / parts at discounts up to 90%. 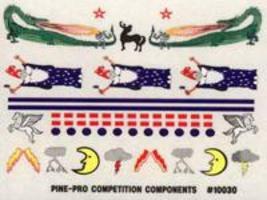 This is the Sailboat Decal Sheet for your Pinewood Derby Car from Pine-Pro Competition Components. 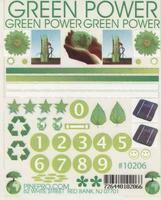 This is the Green Power Decal Sheet for your Pinewood Derby Car from Pine-Pro Competition Components. 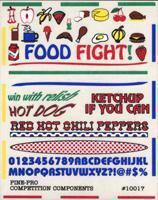 This is a "Food Fight" Decal Set for Pinewood Derby Cars from Pine-Pro Competition Components. 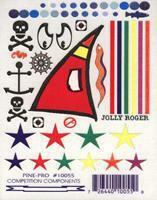 This Pine-Pro Competition Components Package Consits of Jolly Roger Decals.